When I say turkey, you say gravy. When I say turkey, you say stuffing. When I say turkey, you say cranberry sauce, but not the canned sauce you grew up with! The turkey is definitely the star of the show at our house on Thanksgiving, but really, where would the turkey be without the homemade healthy cranberry sauce? Now you may be thinking, opening the can of cranberry sauce is so much easier. 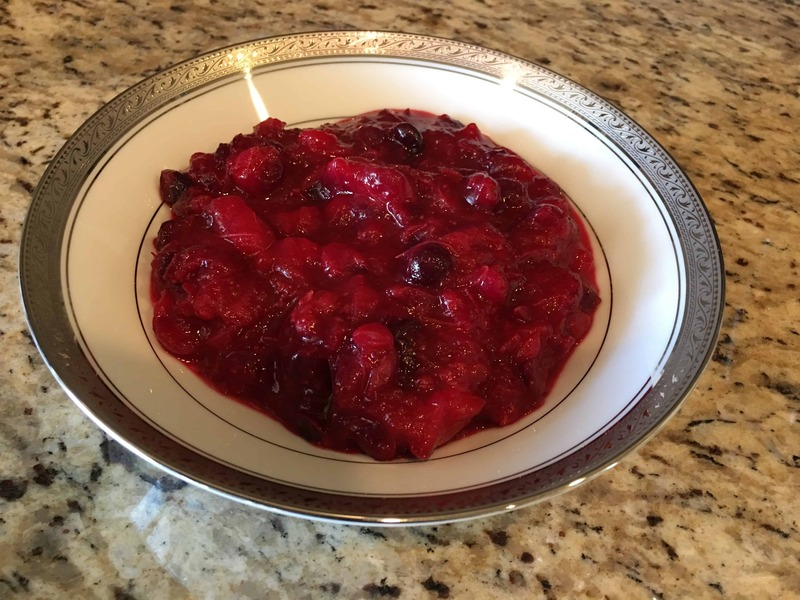 But not after I share this 3 ingredient, 10 minute healthy cranberry sauce recipe with you. This healthy cranberry sauce will knock your socks off and impress the neighbors you invite for dinner. I have been making this cranberry sauce for years and have never strayed from this recipe with one exception. This year I didn’t put in the cup of sugar. Instead I used Stevia to stay true to my low sugar diet. It did not fail me. It is a delicious cranberry sauce! These 3 simple ingredients and 10 min will be all you need for this delicious healthy cranberry sauce. First, add 1 cup of OJ and 1 tablespoon of Stevia to a pot. Bring to a soft boil to dissolve the Stevia. 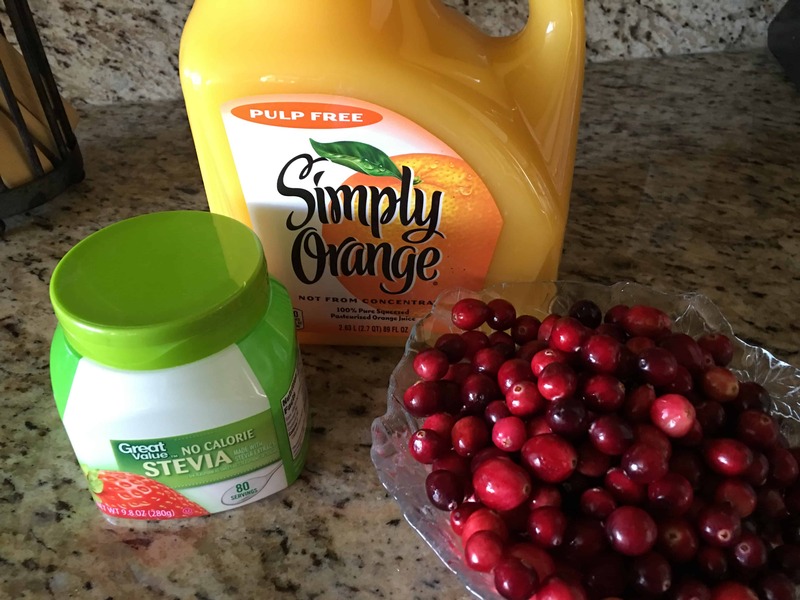 Next, add a 1 lb bag of fresh cranberries to the OJ and Stevia mixture. Bring to a soft boil and after a couple of minutes you will start to see the cranberries begin to pop. 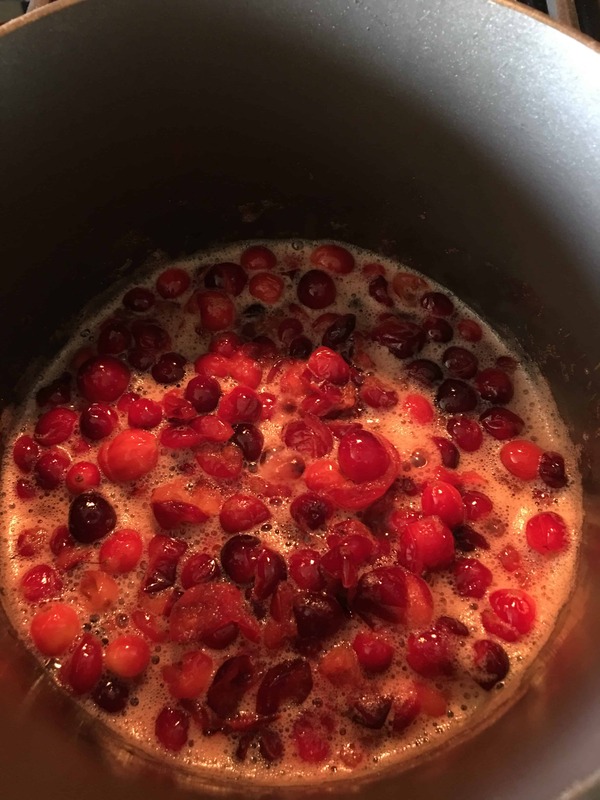 Continue to simmer until the cranberries are your preferred consistency. I like some whole cranberries left in mine, so I only let them simmer a few minutes. When the cranberries are your preferred consistency, remove from heat. 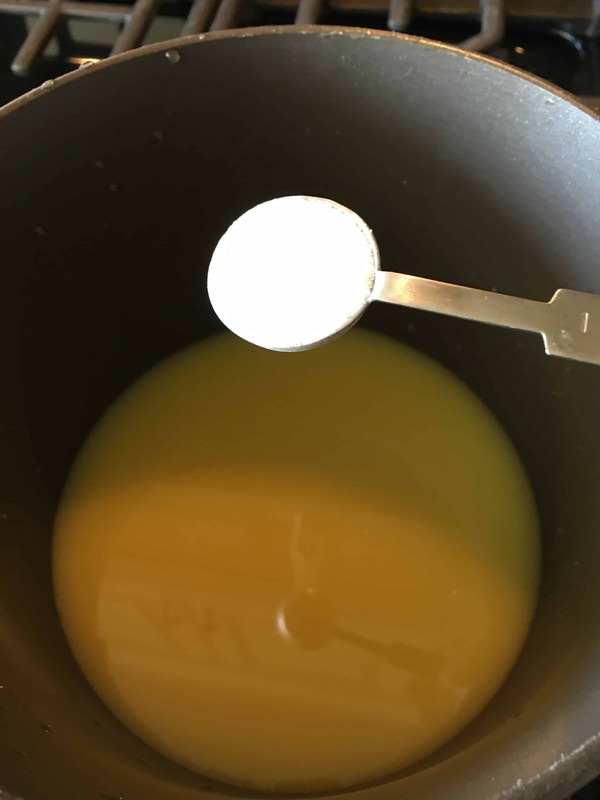 Don’t worry that the mixture is too loose, once it has cooled, it will be more firm. Store in an airtight container in the refrigerator until ready to serve. And voila`! A simple, easy, healthy cranberry sauce that will look elegant and compliment your turkey perfectly! Pin this to your holiday food board on Pinterest!